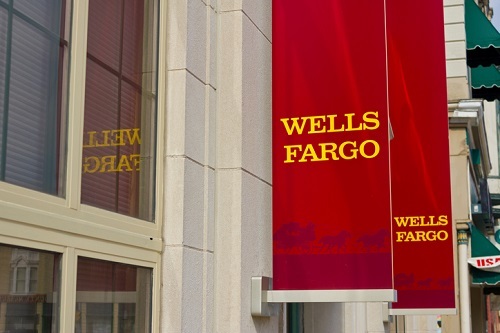 Wells Fargo has suspended two executives in connection with a federal probe into its purchase of low-income housing tax credits. Rick Davis, senior vice president and regional equity manager, and Robert Klixbull, a vice president based in the Charlotte, N.C., area, have been suspended. Both worked in Wells Fargo’s community lending and investment division, according to a report by the Charlotte Business Journal. The Department of Justice is investigating whether the scandal-plagued bank colluded with developers to submit lowball bids on tax credits for low-income housing projects, according to a Bloomberg report. Citing sources close to the matter, Bloomberg reported that an investigation that started in Miami has been referred to the Justice Department’s corruption unit, which is now investigating Wells Fargo deals across the country. The tax-credit program at the center of the investigation was created in the 1980s. The credits are federally funded, but local agencies hand them out to developers, according to Bloomberg. The developers then receive bids of the credits from investors, including banks, that want to offset income taxes. Banks are the biggest buyers of the tax credits because they get both a tax write-off and credit under the Community Reinvestment Act, which requires financial institutions to invest in low-income areas where they do business, Bloomberg reported. Among banks, Wells Fargo is the largest purchaser, investing $9 billion in the program over the last five years. Wells Fargo has acknowledged the investigation but would not comment directly on the suspensions. “Wells Fargo is fully cooperating with the government in its investigation, and will continue to do so moving forward,” spokeswoman Beth Richek said in a statement. She said that the bank was “not in a position to make any additional statements beyond what has already been provided” in the bank’s second-quarter regulatory filing, which first disclosed the investigation.